A word from Matt… It is our mission to provide Efficient, Personalized Service that far exceeds our client’s expectations. We believe that Going Above and Beyond the Standard is what makes our company successful. Most importantly, Good, Honest Work is what has given us a trusted name as a landscape leader in the Greater Madison Area. 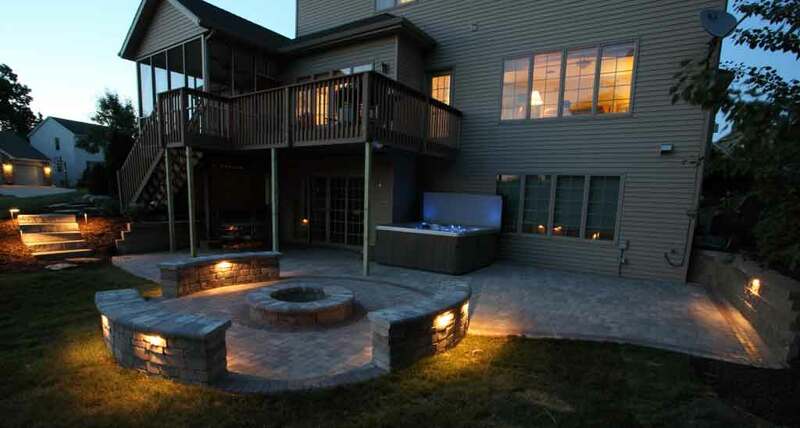 At Mathews Lawn & Landscaping we specialize in creating and maintaining outdoor living spaces and landscapes in Sauk City, to Madison, and even covering all of Sauk & Dane Counties. From simple garden landscapes to commercial luxury outdoor gathering spaces, our team of expert landscaping professionals is dedicated to providing you with the most reliable, professional, and top-notch service. Please give Matthew's Lawn & Landscaping Services a call for your next project! At Mathew's Lawn & Landscaping we take a great amount of pride in our work and we're excited to show you some of what we do everyday. Take a look for yourself!